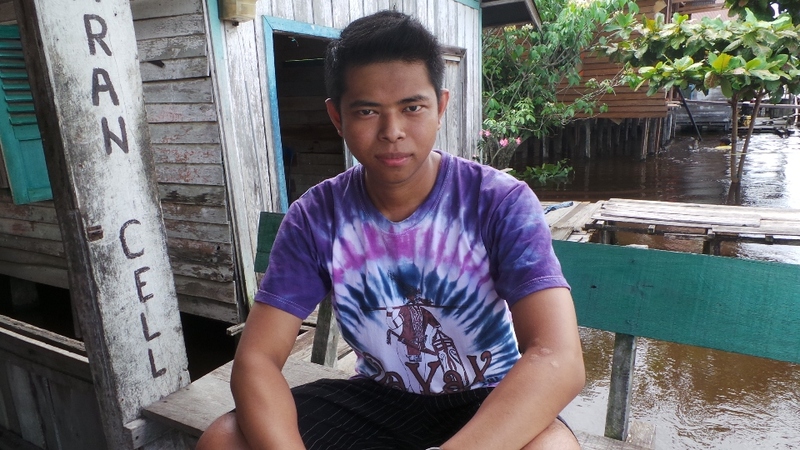 Pavel Bulowski through Zelena pro Indonesii (Green4Indonesia) crowdfunding campaign. 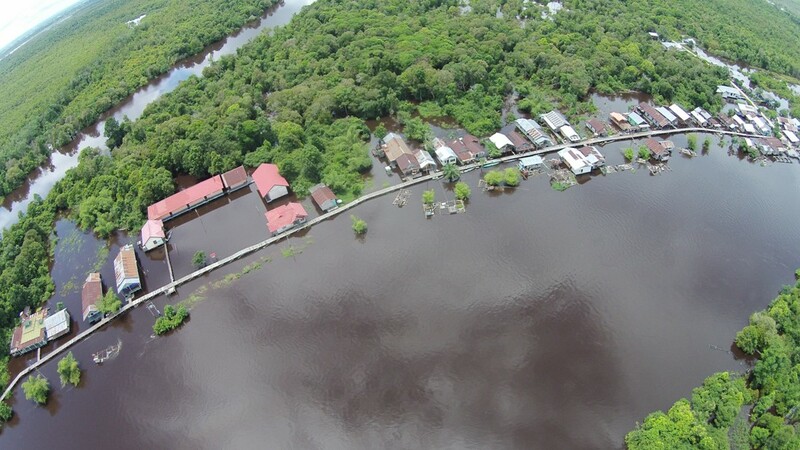 Located in Central Kalimantan with a river that runs through the middle of the village and rainforest in the background, Katimpun village faces serious problems due to illegal gold mining, unsustainable fishing methods, and poor waste management or lack thereof. 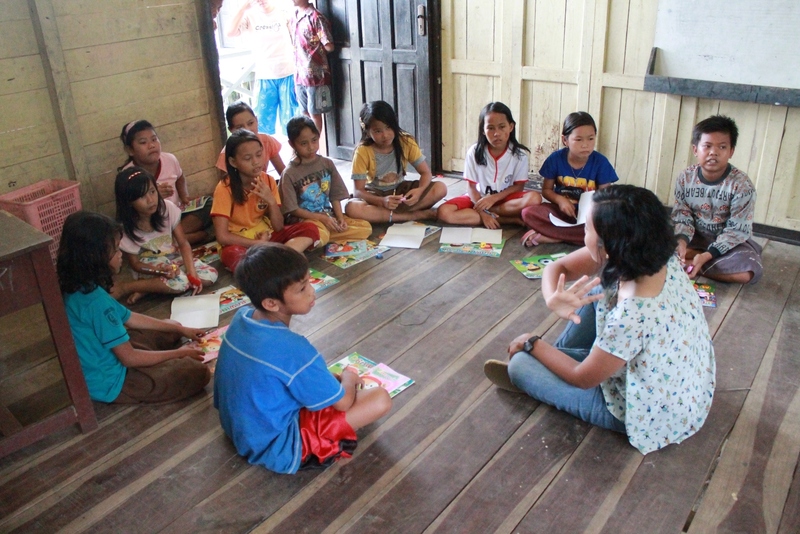 Our Eco-Education Center will support the twice-a-week environment classes conducted by Ransel Buku, a health and environmental education project run by volunteers aimed at the local children aged 7-12. 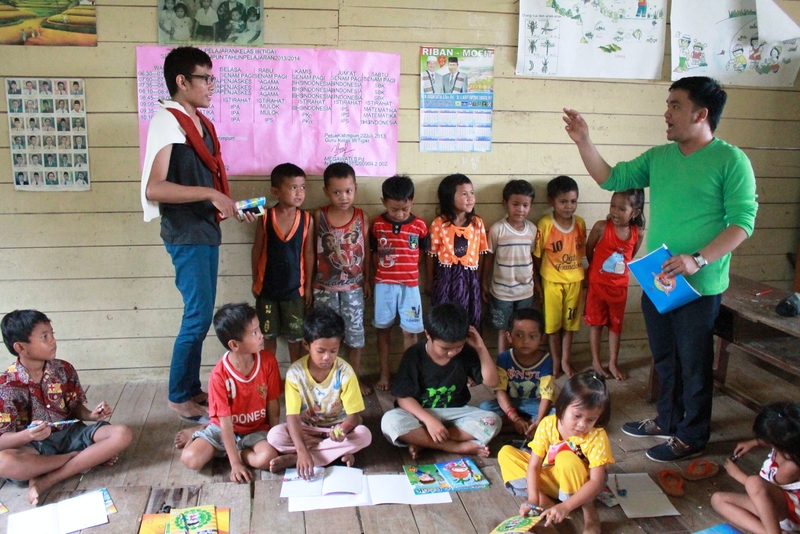 This Eco-Education Center is entirely sponsored by Pavel Bulowski through Zelena pro Indonesii (Green4Indonesia) crowdfunding campaign.